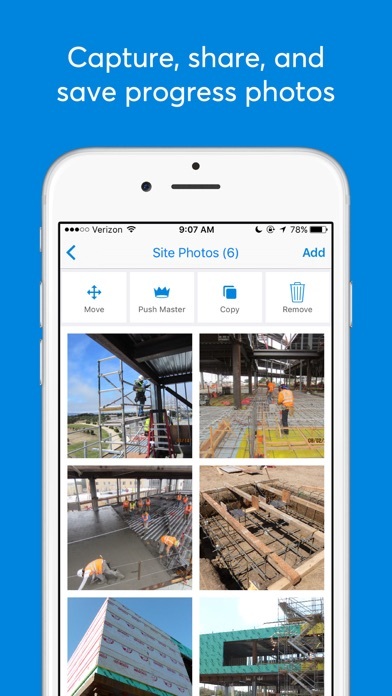 PlanGrid is the #1 construction app. 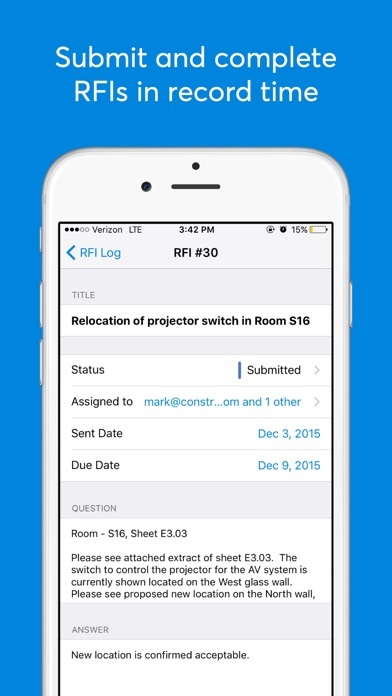 Build and collaborate from anywhere with real-time access to plans, punch lists, documents and daily reports. Use PlanGrid to reduce repeated trips to the trailer, minimize rework, and find answers faster through instant collaboration. 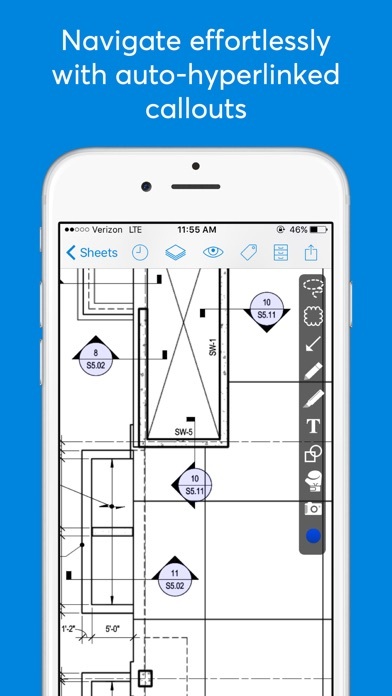 Instantly share construction plans, markups, photos, and reports with your entire project team, from desktop or mobile. 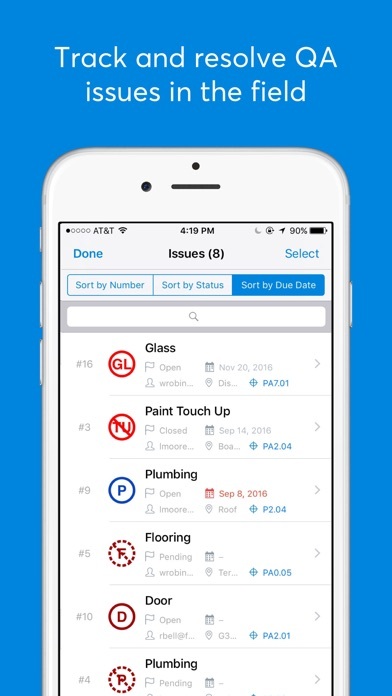 With over 150 million sheets uploaded, PlanGrid is the best proven way to track revisions, view progress, and manage issues and punch lists in the field, with or without internet connection. Download today - Your first 21 days are free. 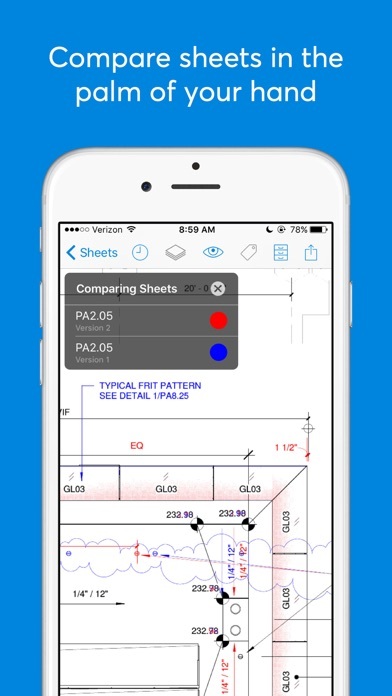 FEATURES: * Work from the current set, no matter where you are * Stay up-to-date with instant, personalized notifications on project changes * Compare drawings to quickly identify changes or clashes * Customize tasks to track planned work and manage QA/QC items and punch lists with your team * Access all construction documents—RFIs, submittals, specs and schedule—from anywhere * Manage your drawing set with automatic versioning and drawing set tags * Quickly navigate your drawings with PlanGrid’s automatic hyperlinking of detail callouts * Capture, markup and share progress photos by pinning them to the plan * Provide a comprehensive view of progress by uploading 360° photos * Advanced search and filtering to always find what you need * Easily share drawing snapshots or the entire document directly from your iPad or iPhone HAVE CONFIDENCE: * Markups and notes are instantly synced across all platforms, and with your team * Construction progress photos and docs are automatically backed up * PlanGrid protects your data through AES-256 bit end-to-end encryption What our users say: • “We needed to simplify the field to build buildings. Without that, there is no construction. PlanGrid just works and is so simple, I can do my job.” -Josh Cantrell, Superintendent at Rudolph & Sletten • “PlanGrid keeps the entire team connected to the most up-to-date plans, while saving time and money.” -Danielle Douthett, Project Executive at Level 10 Construction • "PlanGrid makes life easier on the job site. I have all the drawings, pictures, addendum, submittals, RFIs, ASIs and specs at my fingertips.” Joey Woodard, Superintendent at Montgomery Martin Contractors • “PlanGrid facilitates in-depth and on-site meetings by accessing all relevant documents anywhere on site via our iPads.” -Greg Miller, Senior Architect at AECOM Have feedback or ideas? Please email us at [email protected] If you’re enjoying the app, please leave a review. We read them all.